With a max capacity of 500 and an outdoor seating capacity of 300, the Aladdin Shrine Event and Conference Center is available to host an array of events. State-of-the-art audio-visual equipment, including a wide variety of options, offers greater possibilities to every event. Charming location sprinkled with unique shops and local eateries as well as a winery to make for an excellent shopping excursion. From antiques at Country Hearth Primitives to an amazing collection of books at Read It Again Books, find your heart’s desire in the Grove City Town Center. Be one of the first users of Grove City’s new Scioto Grove Metro Park at the Grand Opening. The ribbon cutting will take place at 10am, followed by fun family activities. Scioto Grove features three miles of trails, two picnic areas with shelters, tables and grills, a kids play area and several overlook decks. With about 4 miles of river frontage, the park is a great destination for canoeists, kayakers, anglers and people wanting to see waterfowl and other wildlife. Dogs on leashes are welcome throughout the park. 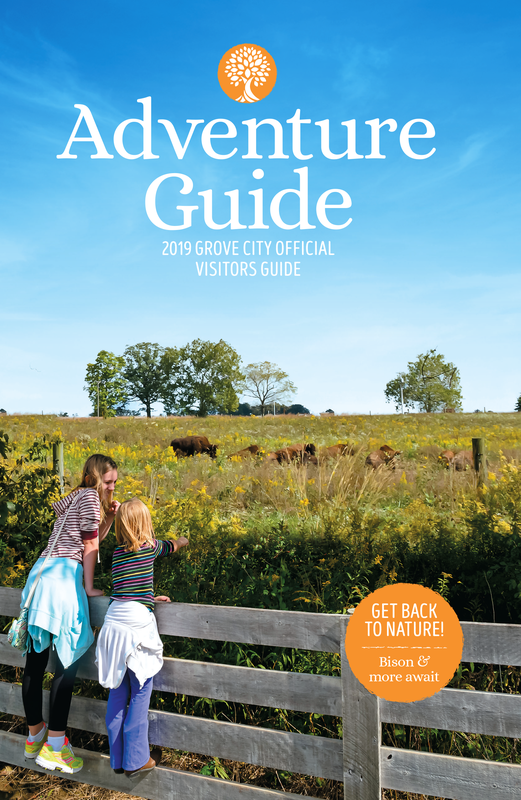 Learn more about Scioto Grove Metro Park.